The Kaninhop Club in the village of Jena is where competitors hop over a variety of different sized mini jumps to show of their leaping prowess. The more jumps they clear the higher their score and there is also normally a time element, though rules can vary from location to location. One of the stars of club in Jena is Snoopy, who works hard to earn his carrots by competing in bunny hop contests across Germany. 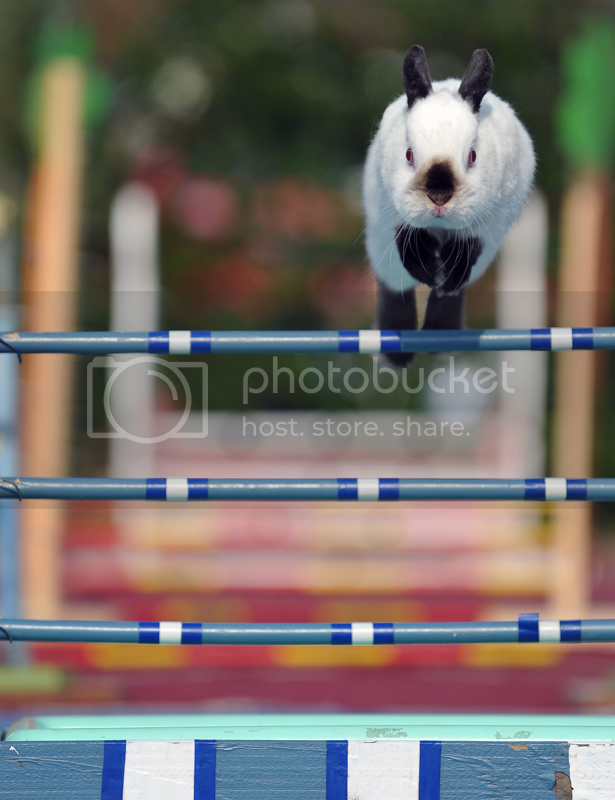 According to proud owner Claudia Fehlen black and white Snoopy can jump around 60cm high. However, he still has a way to go to beat the world record for the highest bunny jump, which, according to the official Swedish site kaninhoppning.se, is 99.5cm. 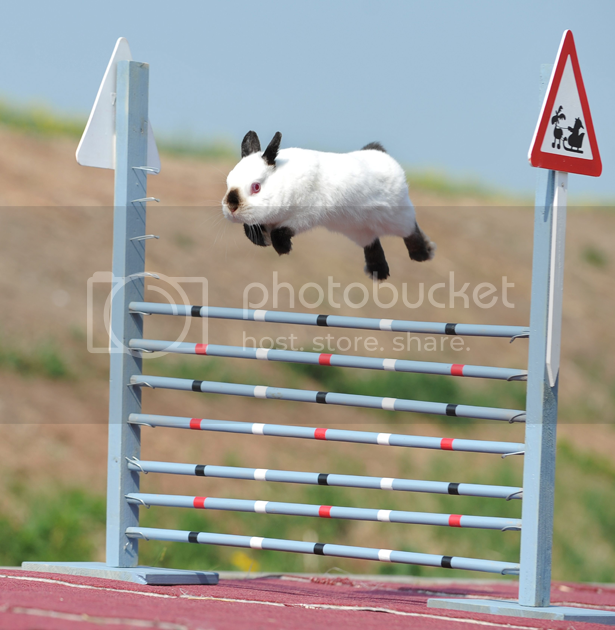 The sport of rabbit jumping was born in Scandinavia but has quickly become popular through much of Europe and America. hang your heads.